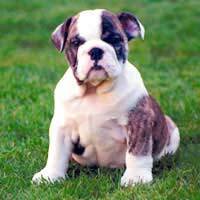 Potty training an eight-week-old puppy is challenging but a task that must be undertaken by every puppy owner. The time it takes to potty train a puppy varies, but by implementing a routine from the minute you bring him home, and sticking to it, you will be well on your way. Puppies have to relieve themselves a lot, sometimes hourly, but most definitely after meals, naps and playtime. An untrained puppy must be with you at all times as this is the only way you will be able to learn what his ‘I need the toilet’ cues are. The most obvious sign is the sniffing for a good location. As soon as you see him sniff a spot on the carpet or floor, bring him to the designated toilet location in the back garden and let him go. It is important to return to the same spot each time you want him to eliminate as this will help move the training process along. When dogs go to relieve themselves, they release pheromones. When he smells those pheromones a couple of hours later, it will automatically trigger his natural instinct to eliminate in the same spot. While your puppy is doing his business, quietly praise him – you don’t want to distract him by being overly enthusiastic. Once he is done, lavish him with praise to let him know he did exactly what you wanted him to do. If you take him outside and nothing happens, bring him back inside and either keep him right beside you or put him in the crate for five to 15 minutes. Then try again. Repeat this cycle until the puppy goes to the toilet. “This kind of routine helps the puppy focus on going when you want the puppy to go,” reports the Dog Owner’s Digest. There will be accidents. But catching them and immediately correcting your puppy will help eliminate them. Correcting does not mean punishing, which includes rubbing his nose in his deposit. Dogs don’t understand that when you put his nose in his pile of poo or puddle of wee that you are telling him that he is a ‘bad dog’. Some dogs may even like the poo smell. Correcting entails scooping up the puppy and taking him to the designated relief area outside, quietly praising him while he goes, then lavishing praising him when he’s done. If the puppy has an accident out of sight, you will no doubt quickly have learned your lesson to always watch your puppy. Most importantly, clean up the mess with an enzymatic cleaner – it removes the pheromone smell, and continue on. “You don’t want to give the dog attention for this mistake,” reports the Dog Owner’s Digest. Paper training is great for apartment dwellers and for people with smaller dogs, who generally have to eliminate more often than larger dogs. Paper training works much in the same way as training your dog to go to the toilet in a specific part of your back garden, only instead of grass, your dog relieves himself on a paper-covered spot indoors. Take note, paper training is not a replacement for proper outdoor potty training and it should never be the first step in the potty training process as it will become virtually impossible to stop the indoor eliminations. There are numerous products on the market to help paper train. It’s called paper training because people lay down newspaper and teach the dog that it is ok to relieve themselves there. Now, there are specially scented absorbent pads and even indoor grass boxes. When you cannot keep an eye on your puppy, crate him. It will help to potty train him but also help keep your house in one piece. However, that does not mean you can leave your puppy in the crate all day while you go to work. Your puppy will still need to relieve himself every few hours and have lunch. If you are unable to come home three to four hours into the workday, ask a friend or neighbour to help or hire a pet care professional. As long as you remain consistent and committed to your puppy’s potty training, you will both get through it in relatively good time.